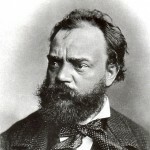 Antonin Dvořák (1841-1904) spent most of his life in Prague. His music is heard in many concerts and operas there. 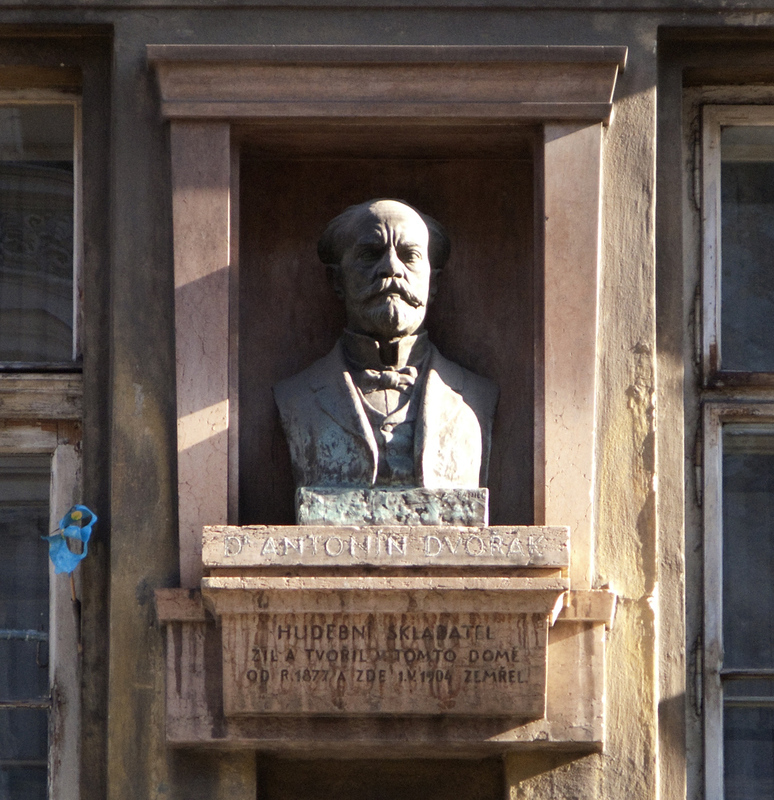 A good friend of Dr. Nelson is a well-known Dvořák scholar, and he frequently lectures on the great Czech composer during our visits to Prague. 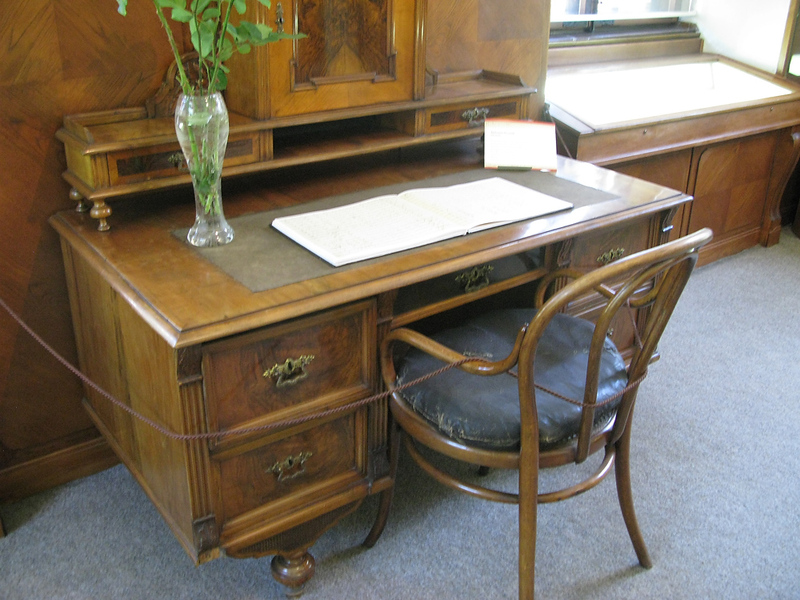 Dvořák Museum. The composer’s largest home in Prague is now a museum. 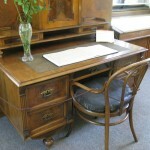 In it you can see his piano, ceremonial robes from his honorary doctorate from the University of Cambridge, writing desk (left), photographs, documents, and more. 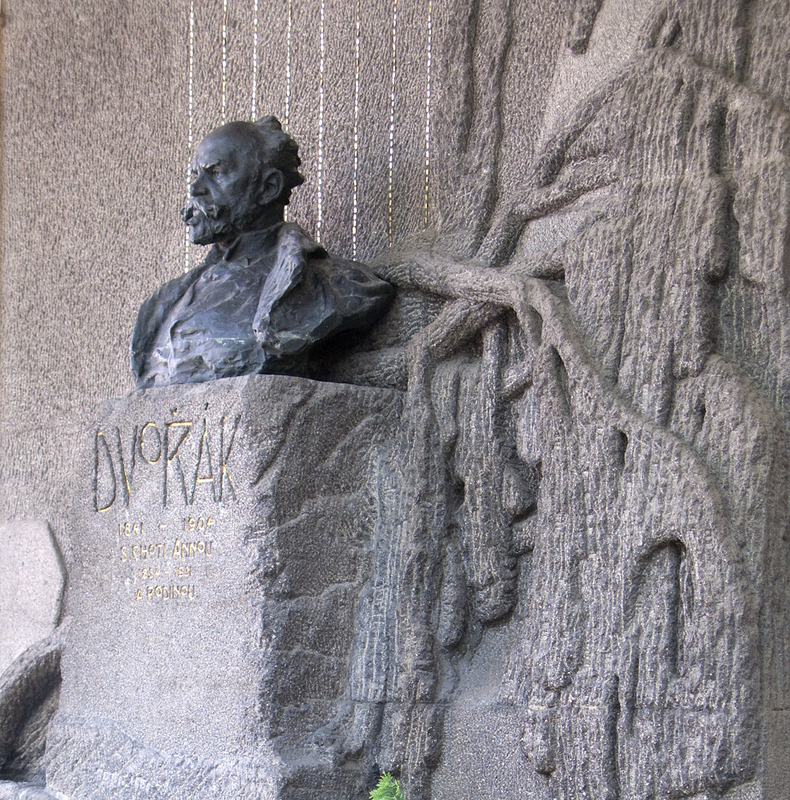 Dvořák’s Grave. 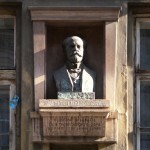 In Vysehrad Castle (the old castle), there is a cemetery with the graves of Dvořák and Smetana. This ancient castle is not as frequently visited as Prague Castle, but is worth a visit. The subway makes it easy to get there. Apartments where the composer lived. Dvořák lived many places in Prague. This is the plaque on the front of just one of his former homes. Dvořák Hall. 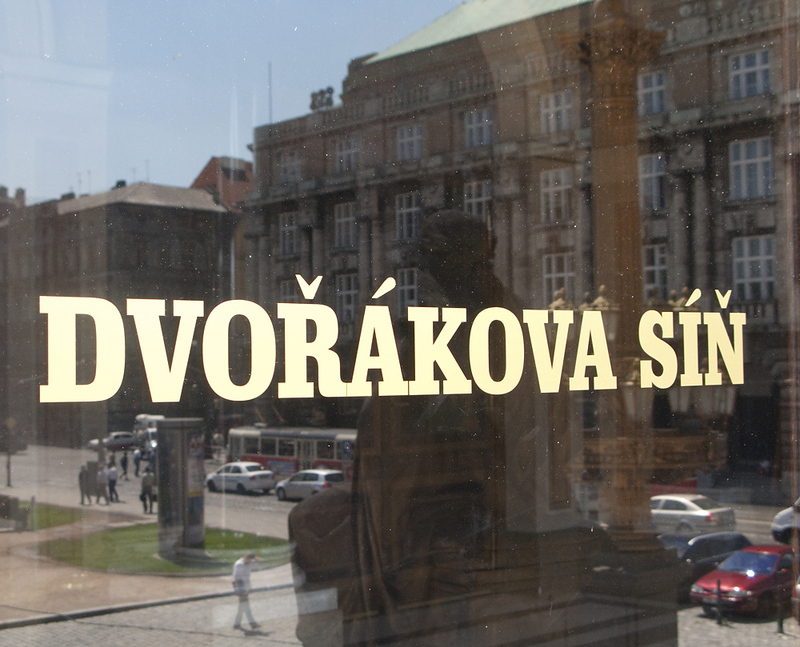 The main concert hall in Prague, the Rudolfinium, has named its central room after the famous Czech composer. 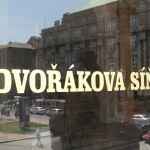 This is the home of the Czech Philharmonic, and we often attend concerts there during our trips to Prague. 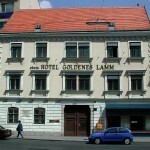 Golden Lamb Hotel. Dvořák made several trips to the Austrian capital. 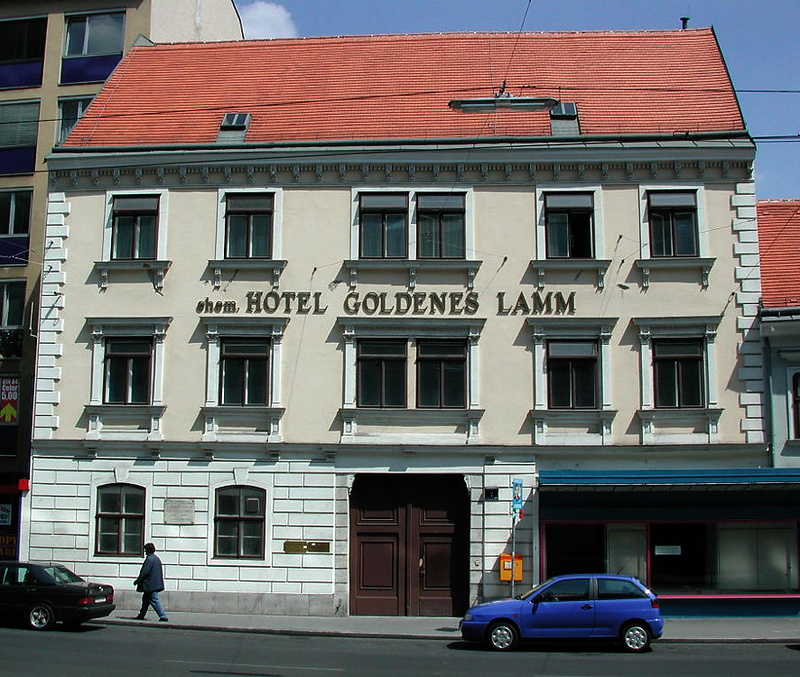 One of his residences was this little hotel, not far from Karlsplatz.